How are you now? Is it now snow in your place? One day here it snow in the morning but the snow meltling fast so it is gone away before the middle eating period. When I was child it snow all the time in Suzhou but this day it do not becase now so many factory here with the stack. The stack make the sky hot with the smoke so the clowd can not make the snow becase it is to hot. Soon the baby of my sister will have one year birthday! In China we have the birthday celebrate on first week, and first month, then at 3 month and one year becase if the baby not died after one year then we know it will live long time! Do you like to eat the sweat potato? In China we can buy that from the men on the street that burn that in the metel can and then we eat it hotly. It taste very much good becase it is hot and the weather is cold now. Here is more terrible photo of by me so look to that now. 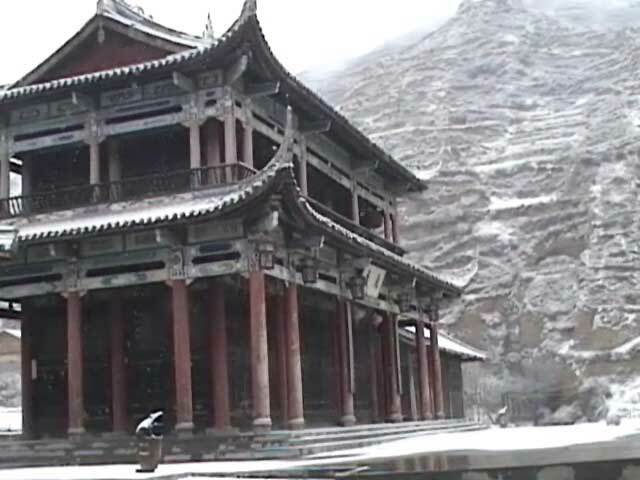 Here it is snow on Lingyen hill but it go away very fast. This is the girl cousin of me, she is age of 4. 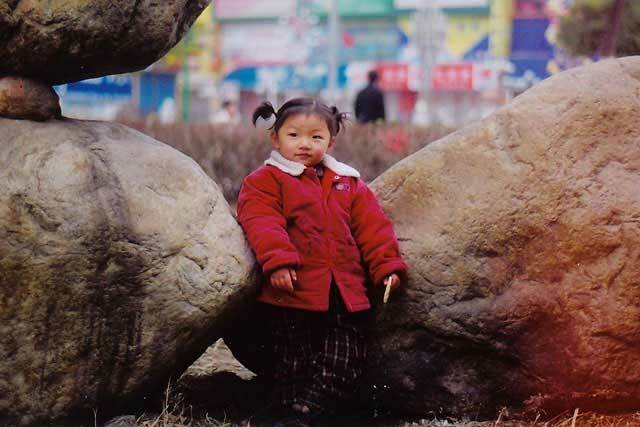 Do you think Chinese baby is as coot as the forgeiner baby? Do you like Baby? In China the old people love the Baby very much. 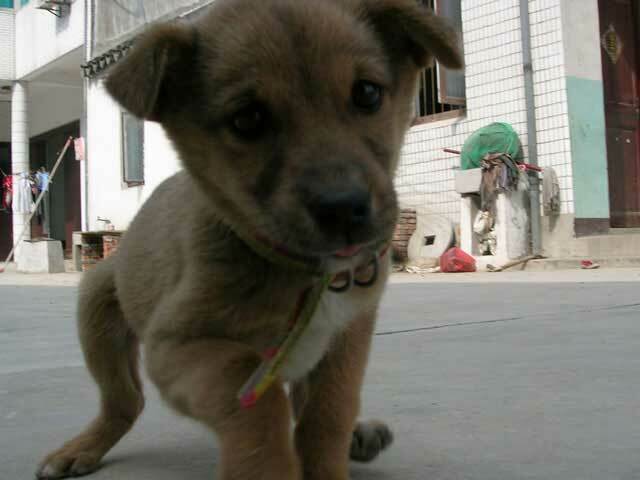 Do you like small dog? It is the dog of my third elder brother. It is named Wawa and it is very young so the child like to play with that. Now we have 2 dog, the other is MungMung the troublsome dog. The enter rode to Suzhou . 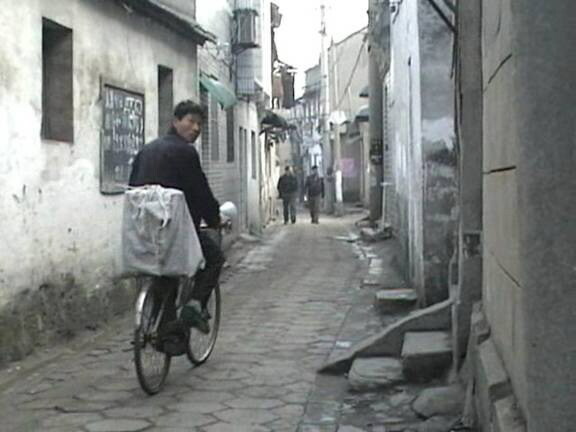 Many men fix the bicycle on the street here so you can always get the repair here! 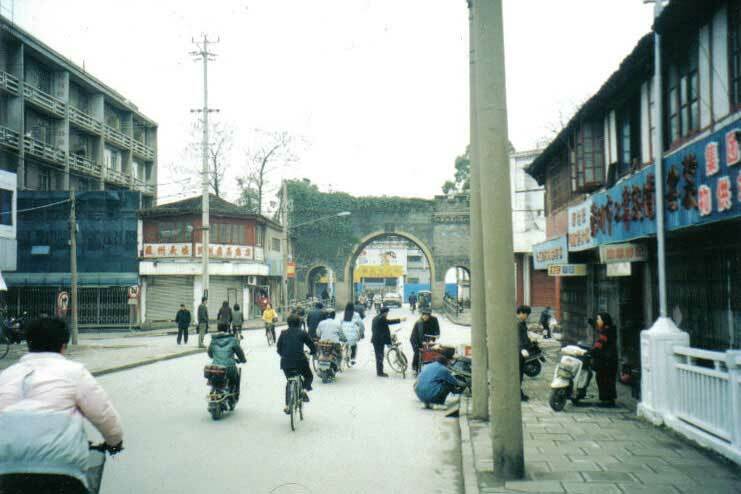 This is the gate named Jinmen . It is the most famous gate in this place after Panmen gate and Xumen gate. The simple street with the stone. The men are lookering at the girl. There are many naghty shop on this street with the red light inside! 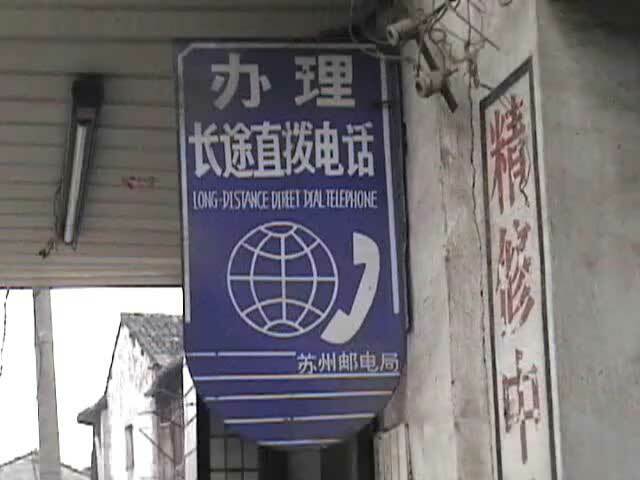 Now China is so modern, the Long Distance Direet Dial telephone is here now so we can telephone to USA and helloing to you! The man is buying the garbage on his bicycle and he have the speaker box on his bicycle to say to others “come and bring me your old thing and I will buy that for the good price!” He spy my camera so he look to me. He think I am the police to critize him. If you want to hear the man speaker box, I put that here…. The old statyu for the child that show his thumb up and carry the Quotation of Chairman Mao Red Book. 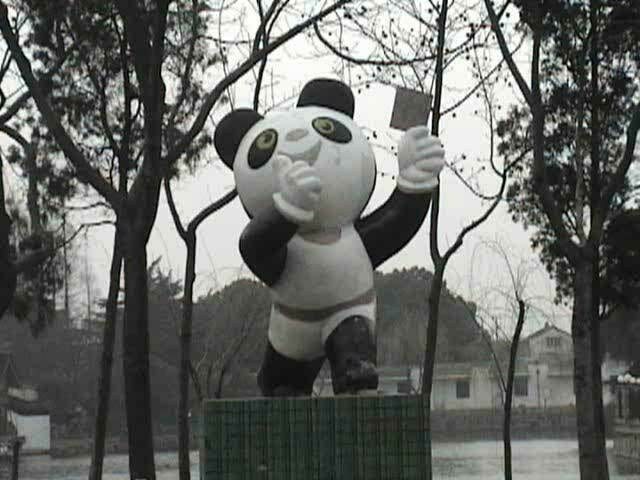 In next dairy I will show you the Suzhou Zoo… that is the place we can see very strange animal! You should want to see that very a lot!. I wish the forgeiner can eat Hotdog and get the Double Happiness!